environment degradation | A Precarious Independence…. Just as 2014 was coming to an end, film director Jia Zhangke’s Shanxi home “city” of Lüliang 吕梁 was again in the headlines for massive violation of mine safety standards and operating countless small collieries without proper licensing or inspection. (New York Times, Dec. 28. 2014). The scale of the arrests and investigations seems to be unprecedented, but the publicity and fines and even imprisonments are nothing new. Nor will the “clean sweep” end the inspection misdemeanors and the litany of explosions and floods that has dogged the private, small-scale mines of the sub-region since the 1980s. Not surprisingly, given Jia’s commitment to merging film and rapportage – or seeming rapportage, his first major film, “Platform” (2004) opens with a kind of mini-take on a coal mine disaster story presumably unfolding just as the film was being scripted. Characteristically, the place and scale of the disaster, even how it occurred, are left murky at best. 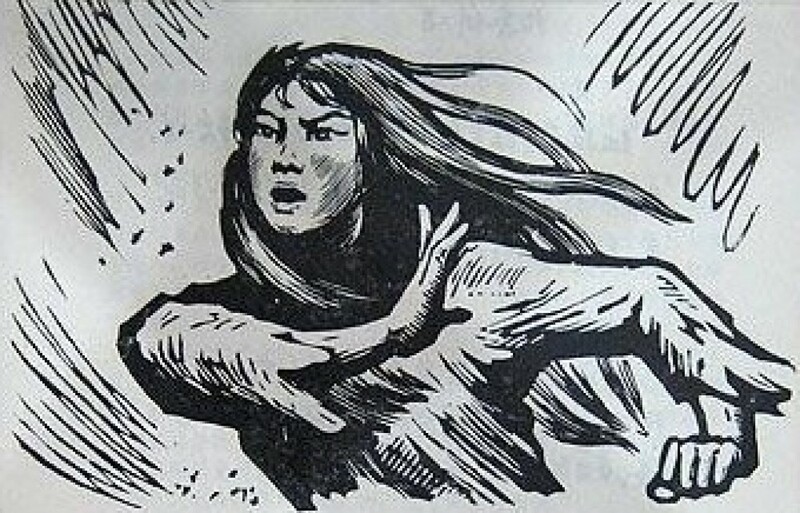 All that is clear is that there has been some kind of tunnel collapse and that a number (how many is not stated) of villagers working in the pit have been killed: the seemingly farcical county (xian) song-and-dance troupe’s performance of a skit enacting the excitement of elder peasants on a train to visit Mao’s home town of Shaoshan is in fact part of a “consolation” theatrical (weiwen yanchu) of the sort that troupes of its ilk were originally constituted to perform. That the audience of fellow-villagers seems more interested in gossip than ceremony or even grief suggests that they have seen far too many of these ceremonies to be deeply shaken. Or is it just cynicism? Just barely within the lens covering the “choo-choo” dance one espies a(nother) thumbprint of early Deng Xiaoping era de-collectivization/privatisation hoopla cross-commenting on the village or township mine accident: a giant “plan” (guihuatu) of the “new” village that the mine’s prosperity (and tax yield) will pay for in some form or another. From the naked prominence of that ambitious blueprint for the future, one is probably to assume that the mine will continue to operate. So the veneer of cheerfulness and even rowdiness – reinforced by the absurdity of the performance itself (featuring teenagers as grandmoms and granddads all keyed up about a visit to the dead Chairman’s hill-country home) – becomes a kind of defense against any degree of political optimism. (This post moves on from the previous…..). 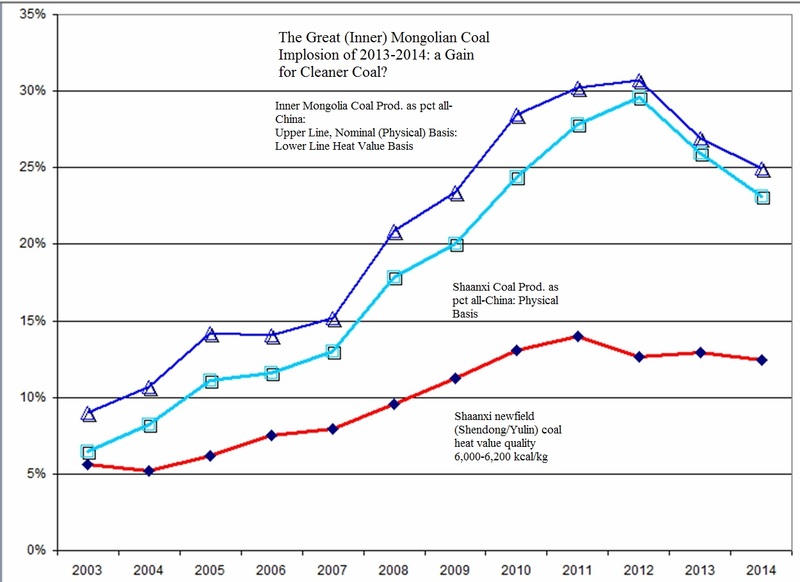 The Inner Mongolian coal boom has turned into a gut-searing contraction, though one that may augur well for improving the environmental profile for the “steam coal” (for conversion to electric power) industry in N and Central China. What happened? Figures released for the 18 months from Jan. 2013 to June 2014 (the latter including forecasts for all 2014) may not have been a total surprise, but the rate of contraction was, and so remains. 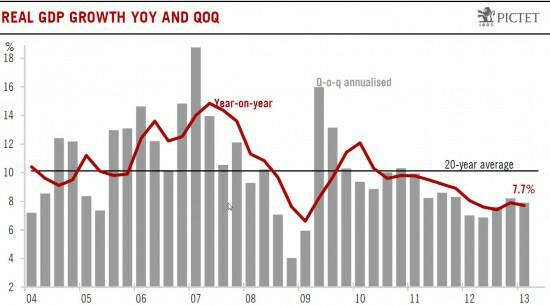 While output (physical basis) had grown at an astounding 27.8%/yr from 2000-2010, suddenly 2012 was a sluggish 8%, followed in 2013 by -6.4% then (as of Aug.) -9.3% on a year to date basis for the current year. If it looks like a topout, and smells like a post-crest crash, then indeed it is probably both, and not yet over, with the decline likely to continue for another year or two, as the annual number settles at perhaps 900 million MT (raw), 15 percent below peak. 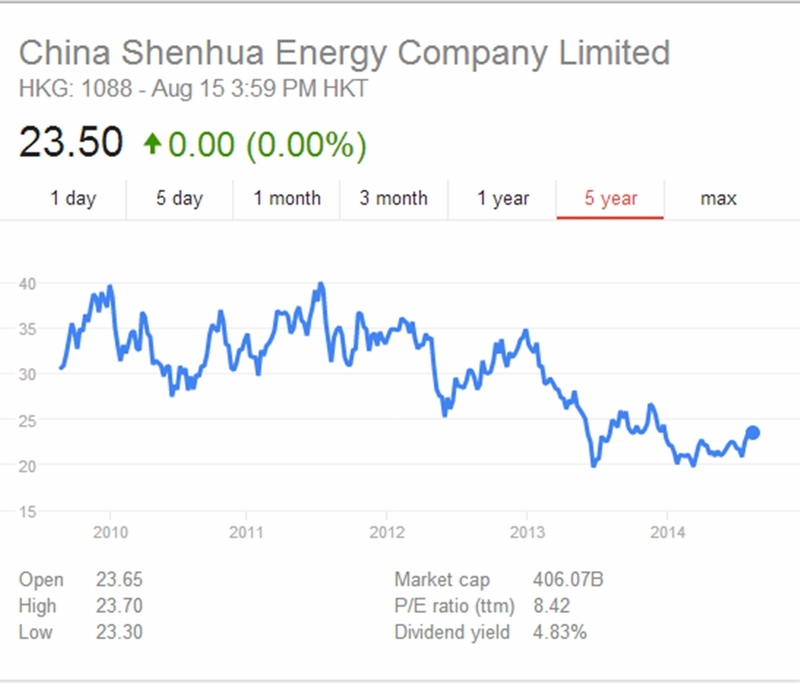 The stockprice chart for Shenhua Energy – the biggest player in that mining belt (probably 50-60% of total mine output) tell us that though a levelling out was in the air from as early as end-2011, the market outlook has continued to deteriorate all through 2013, and has notably failed to reverse back up through the current calendar year. On the other side of the coin, the “other” coal boom province – Shaanxi (神木—府谷—东胜 mining areas) – has suffered no such a rout, certainly not in terms of national production share, which has held steady at about 12.5% and output at about 450 million MT/yr (physical bulk). The good news may be that the shift reflects a rising market advantage for superior grade steam coal as a whole, meaning less per unit mining, and less toxic pollutants (esp. sulfuric and nitric acids related) coming out of the smokestack. Behind the rush into excessive SNG plant investment is a regional (not global or even pan-China) concern: to “clear the air” over the capital and in the “East” in general. Beijing has long been famous for a much circulated photograph (or set) of bicyclers pedalling down (or up) Chang’an Ave., on the flank of Tian’anmen Sq., each one wearing an improvized cloth face-wrap to keep dangerous dusts as much as possible from entering the lungs. And not just in Beijing, where dune-dusts from the Gobi have long been a presence, and still account in part for the problem. 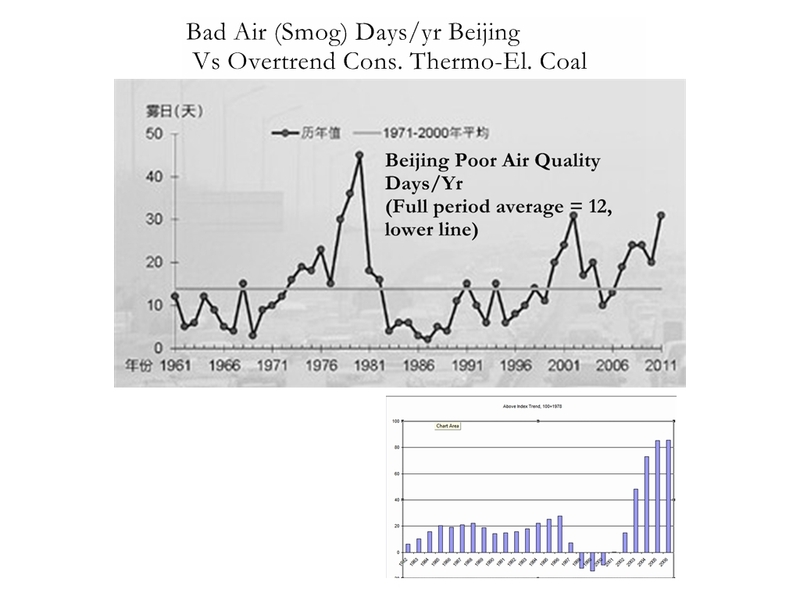 But practically in all of the major cities where Gobi sands do not reach: the pollution comes everywhere from the particulate exhausts of coal-fired power plants. 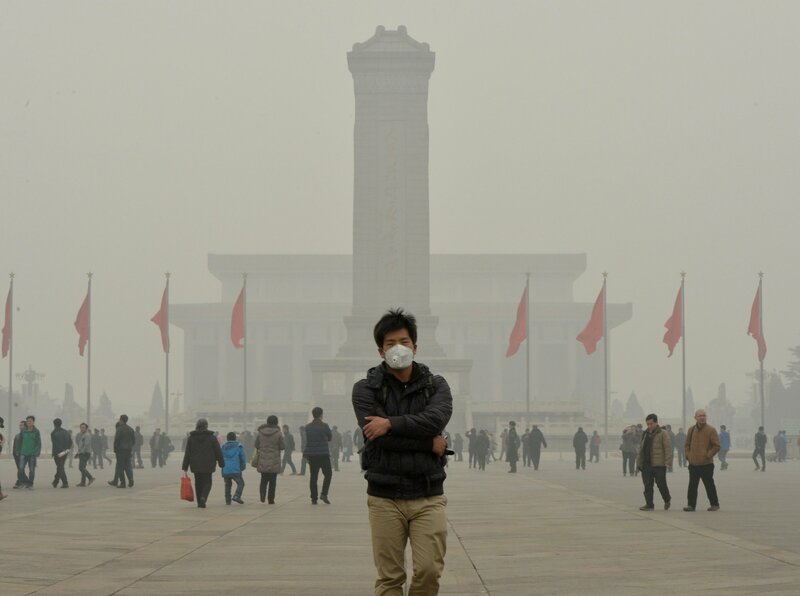 It is moreover not just disaesthetic: the smog contains heavy doses of toxic sulphur and nitrogen gases from the same sources. 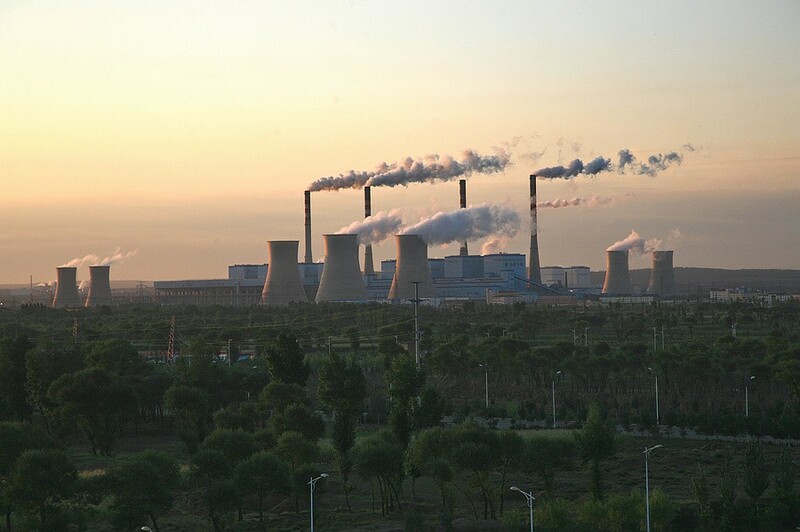 Whistleblowers have recently concluded that exposure to thermo-electric coal pollution takes about 5 years from the lifespan of the “North” China urbanite, as compared with his “Southern” counterpart, because coal mining is heavily skewed toward the North, as therefore are those megasized coal-fired power plants built mainly to send power into the (long-distance) national grid, not (only) the nearby region. To help get a handle on this problem – after too many years of ineffectuality – the Deregulators (name?) 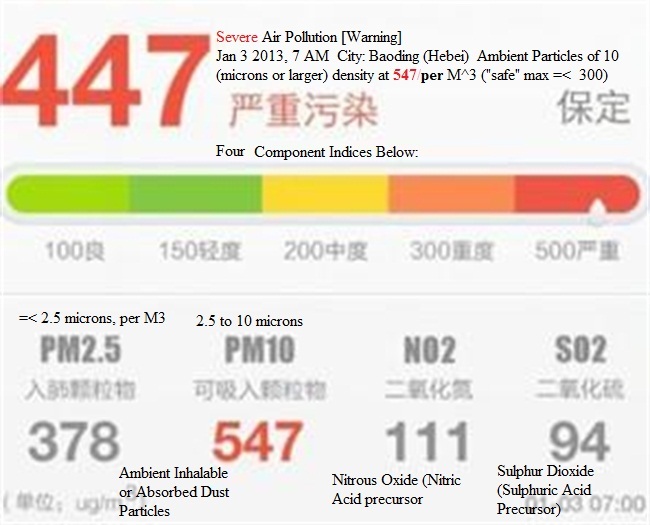 have decided on a toxic particulate emissions dispository trade off: bring down the level in Beijing and its sister high-smog centers in the ‘East” (+- “Northeast”), and move that class of lung-pollution “out West”:, over the horizon where maybe, because toxic emissions are still at a relatively low level (poor data to be sure) it won’t be so harmful or visually depressing. And where its price in even higher NATIONAL levels of carbon emissions (the probable if not admitted outcome) will not be so easy to track, or at least “see”, since the treck that far out west is not an easy one. (Rather like putting biochem warfare toxins manufacture on wheels, as Saddam Hussein was suspected of having planned). This seems strange given the US “clean coal” and natgas lobbies – combined as SNG or CTG promoters – have from the getgo (the 80s) promoted syngas/CTG[coal-to-gas/SNG technologies (the names can be confusing) as ways of reducing all categories of pollution (toxic, smoggic, and carbon-emittic) and making relatively cheap coal into a source of clean+cheap(er) energy.